I love to shock my bibliophile friends. With a wife who is a many times published author, several published writers on our short road, and at least 3 or more book clubs in our small village, I know many bibliophiles. I say to them ‘Do you know what is one of the most liberating things I can do with a book?’. They look at me blankly. ‘I read lots of books when I travel, but when a book is disappointing, when it is starting to annoy me, when I’ve had more than a couple “harrumphs”, I get up from my uncomfortable departure lounge seat and walk casually past the nearest waste bin, dumping the tiresome tome into it without a second glance.’ Gasps all around. I’m not alone. One famous author admitted to me at a book festival party that she had hurled one particularly irritating book across her hotel room. Why is it so shocking? Because to my book loving friends there is something heinous about treating a book so badly. They may be divided on whether supplementing the printed word with written notes in the margin is acceptable or not (the ditherers use pencil). But they are one in thinking that it is beyond the pale to rip a book in two in order to share with a friend. One super techie admitted to me the other day that he won’t let people borrow paperbacks in case they break the spines. The reason is that the printed word, when bound between covers (as opposed to newsprint which is only good for wrapping chips in the day after it is published) has much more cultural significance than the just the words on their own. Why do we own books? So, we value products in many different and unexpected ways. My son has recently started to study philosophy at university. He has taken with him his Kindle stuffed full of the works of Hume, Plato and others. 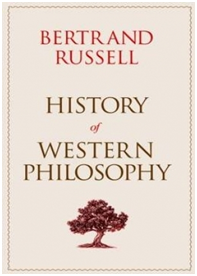 But he has also chosen to take with him my father’s copy of Bertrand Russell’s “History of Western Philosophy”. Not a much more portable e-book version, not even the new gift from a benefactor. Oh no, but my dusty old dad’s post-war copy. Just as it had to be the second edition of Fowler’s “Modern English Usage”, he received for Christmas rather than the up to date edition. The question for this blog is: if the e-book is to replace the printed book, how many of these needs must it meet? It seems to me that the designers of e-book readers have fallen into the classic product management trap of thinking that the practical reason for needing something (being able to read the words) is the single most important need. It is not. The e-book does successfully satisfy a fistful of other, previously unmet needs. I think that ultimately the e-book will not replace the book, but will become something else entirely. As manufacturers figure out how to build on the benefits and create entirely new features, which meet yet more unmet needs. Of course this will eat into the paper book market. I get to waste less money on a trashy novel, lose the satisfaction of hurling it into the bin, but gain the benefit of being able to buy a replacement without leaving the comfort of my beach towel. What that final product will be like will depend a lot upon whether manufacturers are attentive to the possibility of some of those emotional needs. Technology companies, or many of the techie employees of technology companies, can get quite uncomfortable when we starting talking about the emotional needs a product might meet. It is, after all, much easier to measure readability and download speed, than empathy. Unfortunately this means that we tend to ignore all those other, less quantifiable, needs that a product might meet. And, if those needs turn out to be more important to the ultimate consumer of the product, that product is going to fail. There will of course be a post-mortem to understand why a brilliantly researched, ergonomically designed and heavily marketed product failed. It is likely that the technologists will either fail to see, or certainly fail to understand these emotional reasons. Perhaps we need a few poets and artists on our product teams. This entry was posted in inform and tagged customer, design, users, writing. Bookmark the permalink. You’re crazy if you believe that e-books (or rather, digital publishing) will not replace traditional paper books. You simply need to looks at how many people publish on scrolls these days to see that – Just as the codex supplanted that, so too will digital publishing usurp the book. I guess what I’m saying is that we value a whole range of attributes of a product and when one product (e-book) replaces another (paper-book) it will not replace all those attributes, and will offer a range of new ones. In effect it becomes a very different product. BTW, my Kindle is sitting on my bedside table.